Santa Fe, New Mexico has an incredible culture filled with history and art. As you walk the streets of downtown, you are sure to run into at least one art gallery around every corner. Not only is the studio art scene prevalent, film is as well. One of our favorite events showcasing this is the Santa Fe Independent Film Festival. Every October, incredible artists bring their work to town. This festival will present films, panels, discussions, and some exciting parties in the heart of downtown Santa Fe. You will have a chance to see some of the year’s hottest independent films as well as marvel at some unseen masterpieces! The Santa Fe Independent Film Festival has been a highlight in the community since the start. Each year, we see more and more success drawing huge crowds locals and visitors alike. The festival began back in 2009 as a fringe festival in the community center. Just two years later, it was the biggest event of its kind in all of New Mexico, screening over 100 films. Recognized nationally as a young Sundance, the festival has sparked from humble beginnings into one of the top annual events in New Mexico. It is known for its sold-out screenings and increasing popularity each year! Along with the film showcases, the festival has sought to organize social events among industry professionals and local filmmakers as well as some fantastic parties to celebrate this success. Each year, the theaters are released that will have showings during the Santa Fe Independent Film Festival. Films are also released prior to the event. You can usually purchase an Early Bird Pass for a discounted price before the lineup is released or purchase festival tickets afterward. This event lasts 5 days, so plan accordingly! This is your chance to potentially see the next big name in the film industry. 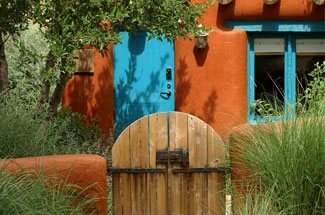 Four Kachinas Inn is perfectly situated in the heart of Santa Fe. You’ll be near the theaters the films from the Santa Fe Independent Film Festival are shown at for easy access! Enjoy our comfortable accommodations, many of which have their own private entrances. 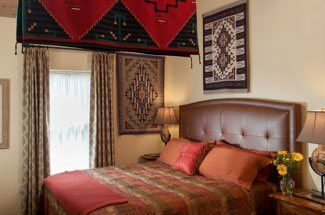 Each room is decorated differently with Southwestern decor, perfect for a Santa Fe stay. Plus, you get to enjoy a delicious homemade breakfast each morning to start your day off right! What are you waiting for? Book your Santa Fe getaway today!